High quality embroidered fleece jackets, microfleeces and technical fleeces available from Royale Leisurewear. Contact Dorothy or Kevin today on 01773-550614, or fill in the online form. Fleece jackets ensure that you remain warm and comfortable. For quality you can rely on, choose a fleece jacket from Royale Leisurewear, available in a wide range of styles and colours. Embroidered fleece jackets are popular for all outdoor work, and are a great way to enhance your business brand or club identity. All prices are plus VAT at 20% in line with current legislation. Fleece jackets are a practical way of keeping warm with a variety of different weights and styles to choose from. 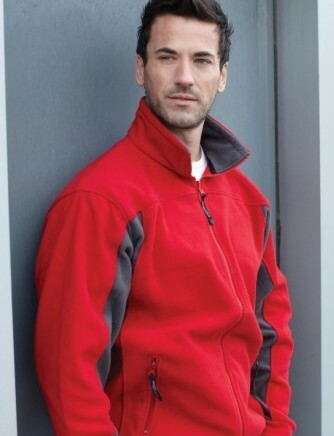 Compliment your brand with a warm and cozy stylish fleece – enhanced with your logo in a quality embroidered design. Combinations of all or any of the above. Sizes for Royale Leisurewear’s comfortable and stylish fleece jackets. 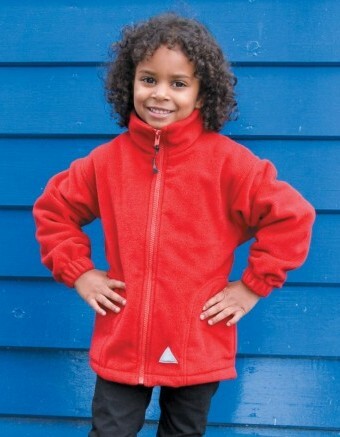 Children’s fleece jackets – Sizes available: age 3-4 years, 5-6 years, 7-8 years, 9-10 years, 11-12 years. Adults fleece jackets – Sizes available: XS, S, M, L, XL, 2XL, 3XL, 4XL, 5XL and 6XL. Ladies fleece jacket fitted styles are available up to size 2XL. Choice of styles and colours may be limited for larger sizes, please ask about our embroidered fleece jackets and our experienced staff will be happy to help. Product range is great. Excellent quality of work, fast turnaround, friendly service! Good choice of products. Very helpful with enquiries, quick and efficient. Product range which covers all budgets. Recommend for small and large businesses. Very pleased with your service and your wide range of products. Royale Leisurewear would like to wish all of our customers a very Merry Christmas and a Happy New Year! What we do at Royale Leisurewear! Going Green at Royale Leisurewear!